We recently reported that vitamin D deficiency aggravates diabetic bone loss in mice. Although vitamin D affects both muscle and bone, the role of the vitamin D state in diabetic muscle loss and muscle-bone relationships remains unclear. In the present study, we examined the effects of vitamin D deficiency on muscle mass, muscle differentiation and muscle-derived humoral factors linking muscle to bone in diabetic female mice. 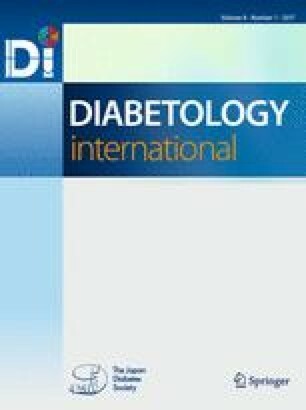 Diabetes was induced in mice by streptozotocin (STZ) injection after feeding with a normal or vitamin D-deficient diet for 6 weeks. Quantitative computed tomography analysis showed that tibial muscle mass was significantly decreased in diabetic mice compared with control mice 4 weeks after induction of diabetes. Vitamin D deficiency accelerated muscle loss in diabetic mice. Vitamin D deficiency augmented the decreases in Pax7 mRNA levels and the increases in muscle RING-Finger Protein-1 and atrogin-1 mRNA levels induced by diabetes in the gastrocnemius muscle of mice. Moreover, vitamin D deficiency decreased the mRNA levels of insulin-like growth factor-1, fibroblast growth factor-2 and osteoglycin in muscle of diabetic mice. In conclusion, we demonstrated that vitamin D deficiency aggravates muscle loss induced by diabetes in female mice. Vitamin D may exert significant effects on the maintenance of the musculoskeletal system partly through the muscle-bone relationships in diabetic state. This study was supported by Grants-in-aid 26860152 and 15K08220 from the Ministry of Science, Education and Culture of Japan (to Y.T. and to H.K., respectively) and a grant from The Nakatomi Foundation.